I am relatively new to the world of board games and tabletop games, but I am fascinated by it and my only complaint so far is that I don’t have enough free time to (and friends interested to) play Settlers of Catan all the time. But I’m slowly learning that there’s more than Catan and I am extremely happy to find tabletop games that I can enjoy in single player, on my iPad, as sad as that might sound. 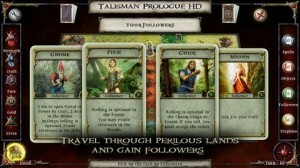 Talisman Prologue is one of my findings and it’s a lucky start for me, as it is not only based on a classic, but also extremely well done to keep me interesting in exploring the board game world beyond the regular boxes and plastic figurines, and be able to play whenever I want to thanks to almighty Apple and Nomad Games together with Thumbstar. 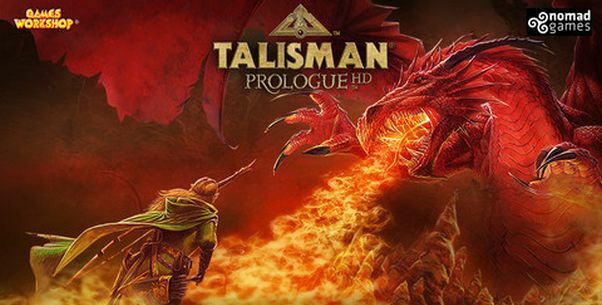 If you are a noob like me, then you probably don’t know what Talisman Prologue is about. It’s a boardgame that in this case is played in single player mode, challenging you to complete quests in as few turns as possible, while at the same time offering you a huge choice of unlockable characters, each with its own stats and special skills. You play the game by rolling a dice and moving on the board in either direction. Each tile that you land on “does” something: from letting you draw a card or more to allowing you purchase equipment, fight monsters and so on. This means that Talisman Prologue suffers from the same problem all dice-based board games suffer of: luck plays a major factor and no matter how good of a strategist you are, things can be ruined by a bad roll. But that’s simply how things are and for many, it just makes the gameplay more interesting. And the game’s developers do try to make the experience a lot more interesting, too: for example, the game has a huge replay value since all the quests in the game have a star rating (Talismans, but we can call them stars) and you get more stars the faster you complete a specific quest. And if you’re a gamer, then you will probably do your best to get all threes. Add to that unlockable characters, unlockable quests and a ton of content and scenarios, and you have all the reasons to be extremely excited about this game. 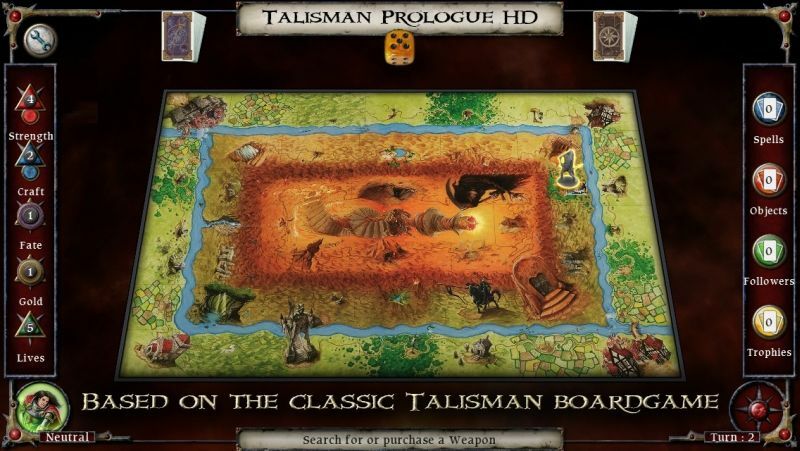 Of course, if you are not a fan of board games, I doubt you will turn into one, but if you are like me (or even more experienced), you will definitely love the experience and you will see that Nomad Games really did their best to create a unique product that makes sense on smartphones and tablets and which tweaks the original game for this experience. Therefore, I fully recommend this game to board game fans all over the world!